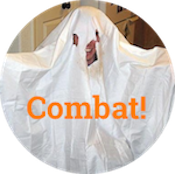 Updated State of the Union Address guest list - Combat! 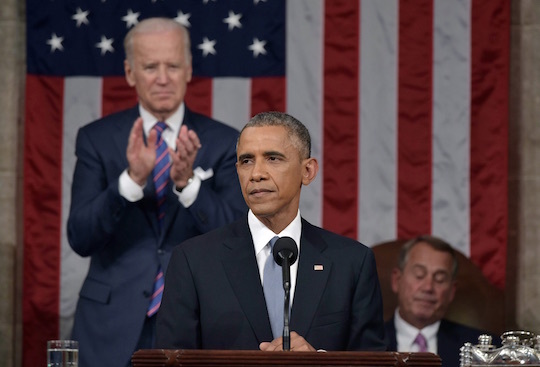 President Obama delivers his State of the Union address in 2015. Ted Cruz will not be attending the State of the Union Address either, in order to remain on the campaign trail, but he announced via Twitter that “If I’m elected POTUS, there’ll be an empty seat for the over 50 million unborn children killed since Roe.” He added that if he is elected president, the moon will turn red, monkeys will fly out of jars of peanut butter, and the State of the Union Address will be attended by a big thirsty dog that talks by belching bubbles and popping them with his tail. Rand Paul will leave a seat for the unlaid college sophomores who support his campaign for president. Bernie Sanders will leave a seat open for the prophet Elijah. Just kidding! It’s for when he falls asleep. Marco Rubio will leave a seat open for the lovers who never kissed because they sent text messages to the wrong numbers, the bakers whose delicious cakes were never eaten because birthday parties got canceled, and the polished, articulate candidates for president whose careers were derailed by circumstances no one could foresee or, frankly, believe. There is a 29% chance he will miss the State of the Union Address. Hillary Clinton will leave a seat open for you, the voter. Jeb Bush will leave a seat open for the unpaid defense contractors who will not get to re-invade Iraq. He will not be attending the State of the Union Address. He will be at the library, using the internet. Joe Biden will leave a seat open in case the waitress at Applebee’s is hot. Donald Trump will sell his seats and watch the State of the Union Address from the Delta Sky Priority lounge, where he will explain how much money he made to anyone who accidentally sits next to him. Paul Ryan will leave a seat open in November, when the tea party turns on him for failing to balance the budget/spray the president with a hose. President Obama will still be leaving a seat open at the State of the Union Address to commemorate the victims of gun violence. He will also leave seats for chefs who are now embarrassed to wear Crocs, fans of Vampire Weekend before they got popular, and “presidents whose ideas for protests were ripped off by pie-faced hicks.” He will still be attending the State of the Union Address. I don’t understand the Obama jokes. Also, I don’t perceive that a significant portion of B.Sanders support is misogyny. I think he does receive significant support for articulating a sharper liberal criticism than H.Clinton, whose pragmatism doesn’t think in terms of in anti-corporate rhetoric. So after I read your comment, Attempt, I realized that an important part of the premise here is that King announced his open-seat protest after the president announced his. It’s not funny because King saved a seat for unborn babies. It’s funny because he did it after Obama did it first. The joke at the end is that Obama is mad someone stole his idea, but it doesn’t work if the reader doesn’t know the gun violence protest is something the president actually did. And the reader has no reason to suspect that, because he’s just read nine instances of absurdity or satire. Anyway, I moved the Obama stuff that actually happened to the first paragraph, and I think that fixes it. I mention this process because it’s exactly what this blog is for: writing better by writing for a readership. Thanks for reading, is what I’m saying here. I LOL’d a lot in public.